Here is very interesting brain teaser to twist your mind. It is Mind diverting question which will make you think in all the different directions. At last you need to think out of box to solve this mind twister. 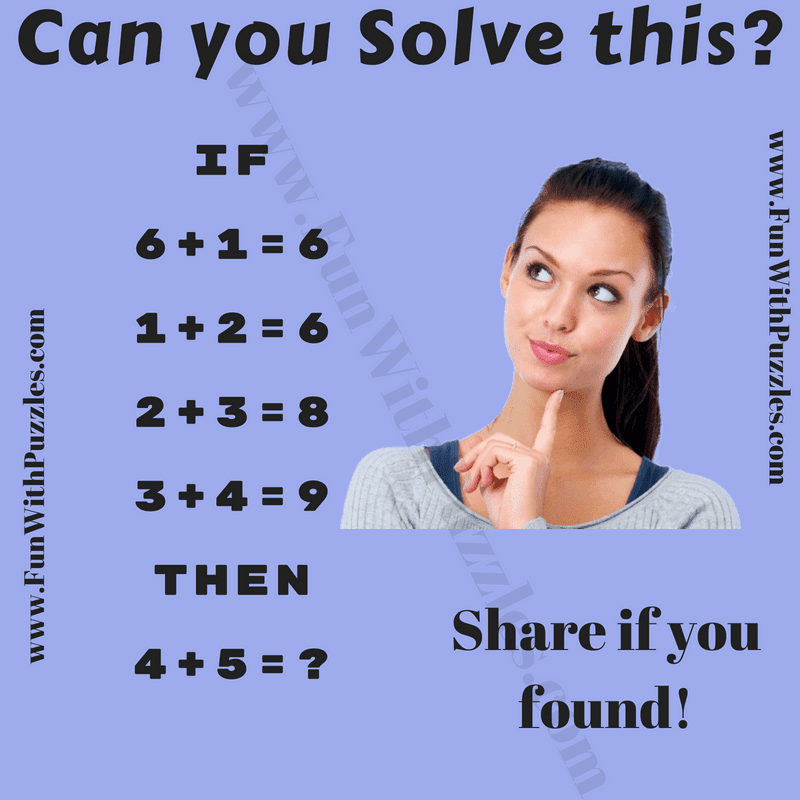 Lets see if you can solve this mind diverting question? Can you solve this mind twister brain teaser? Answer of this "Mind Divert Question", can be viewed by clicking on button. Please do give your best try before looking at the answer. ONE+TWO =6 and so on. Number on the right side of equation is sum of length of letters on left side.